Editor's note: Educators and administrators across the state tell us that Michigan schools are seeing great success with Google for Education. From bringing a global experience into the classroom to freeing students to learn from each other and their teachers, from anywhere, technology has improved the learning experience for students across the state. To learn more about Google solutions for Education, join us for a webinar on January 28th at 3pm ET / 12pm PT. If students in Michigan want to learn about life on a farm in New York or a city in Australia, they don’t need to buy a plane ticket or even leave the classroom. Educators in Michigan are bringing global experiences to the classroom using cloud technology, such as Google Apps for Education and Chromebooks. Inspired by how Michigan schools are transforming classroom experiences with technology, we’re highlighting a few success stories in the region. 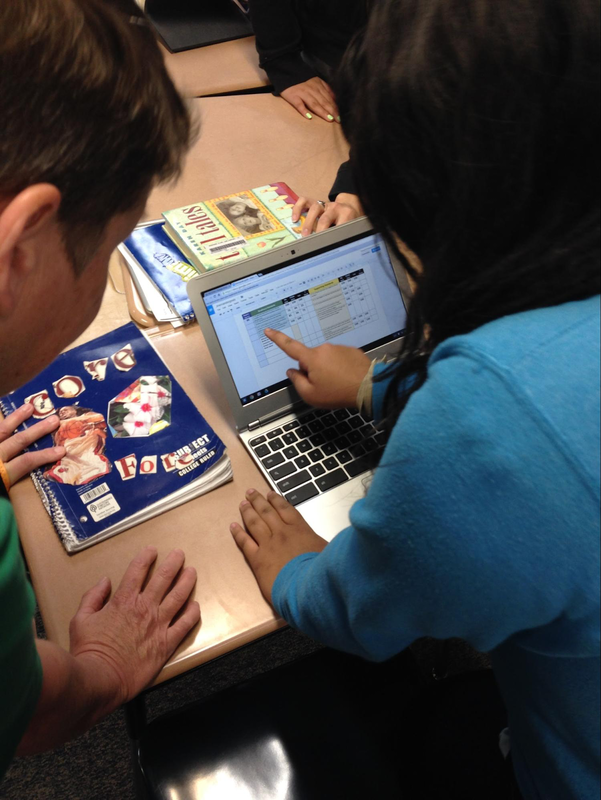 At Grand Haven Area Public Schools, Google Apps for Education put student learning, collaboration and feedback at the center of the classroom. Grand Haven has launched 4,500 Chromebooks for students and staff and has deployed 8,400 Google Apps accounts. Before introducing the new tools, when students had a question, they had to wait until a teacher had time to work with them. In classrooms of 20 students or more, many of these teachable moments would simply get lost in the shuffle. Technology allows those moments of curiosity to turn into learning opportunities for students. 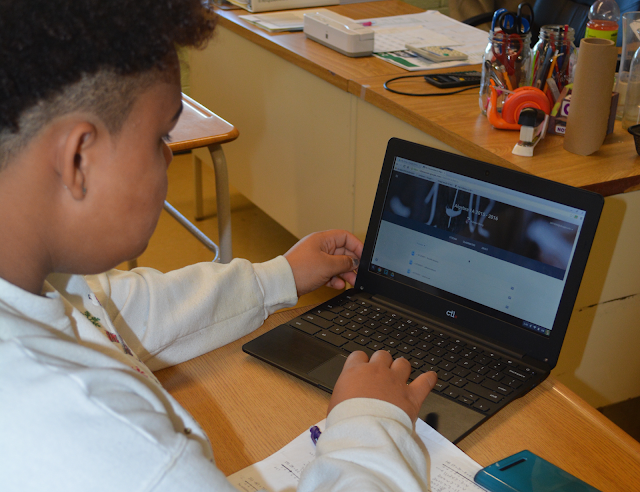 With Chromebooks and Google Apps for Education, teachers are able to provide feedback on assignments to each student individually in a single class period. For example, at Grand Haven, students use Google Docs to share their progress on math assignments with their teachers. Math teachers then check-in virtually with each of the students as they’re working on the assignment to provide them with real-time feedback by adding comments in the Doc. The teachers also use Doc’s revision history feature to see the logic students are using to solve the problem, giving them better insight into how students are progressing. Lincoln Park Public School District (case study) considers technology a key part of its mission to prepare and inspire students to achieve educational excellence. Many of the district’s students don’t have access to technology at home, and others struggle with state standardized test questions that are based on the assumption that students have traveled. To overcome this challenge, the district launched Google Apps for Education for 4,900 students and introduced 4,400 Chromebooks. Students now have unlimited access to global information online. “We now have the ability to bring virtual knowledge into the classroom. The virtual experience opens up the world for our students and allows them to learn more,” says Cheryl Irving, assistant superintendent for Lincoln Park Public School District. To provide students with anytime, anywhere learning, Fenton Area Public Schools launched 1,300 Chromebooks and 4,600 Google Apps for Education accounts for students. “Our Google solutions and services are creating new learning spaces that are spontaneous and less constrained,” says Kevin Powers, technology director at Fenton Area Public Schools. Teachers are providing students with opportunities to work, learn and collaborate anytime, anywhere using technology beyond the classroom walls. For example, they created live after school study groups via Google Hangouts and Docs, as well as virtual book clubs during the summer via Google Groups. The district also used Hangouts to host a CNN Hero of the Year nominee, who spoke to three elementary classrooms at once. For students and teachers in Michigan, the classroom is now bigger and richer. With Google for Education tools, students and teachers have global opportunities in the classroom and beyond. Check out more schools’ stories and join us for a webinar on January 28th at 3pm ET / 12pm PT. We’ve heard great stories from many of you about how you’re using technology to do amazing things in your schools, so we're going across the U.S. to see for ourselves! Check out the map below to see where we’ve been. We’d love to hear what’s happening in your state, so please share your story on Twitter or Google+ and tag us (@GoogleForEdu) or include the #GoogleEdu hashtag. Editor's note: Schools across Florida are seeing great success with Google for Education. Today we’re featuring tips from School District of Lee County, Okeechobee County School District and Escambia County School District. To learn more, watch this recent webinar with Lee County. And if you’ll be at FETC from January 12-15, visit us in the Expo Hall at #2221. Providing IT support across campuses can be a drain on resources, so instead of hiring a huge IT team, ask tech-savvy teachers to serve as resources for technology questions. They need not be experts, but rather can act as liaisons to direct teachers and students to the right channels and communicate with the IT team about any overarching challenges. Some teachers will be excited to have new teaching tools, but others may prefer to use the whiteboard or pen and paper. Provide teachers with a variety of opportunities to learn how to use technology to improve their teaching, boost productivity and make learning more interactive. Okeechobee County School District hosts C@mp IT, a two-day professional development summit with workshops about how to use devices in the classroom. If your schools don’t have the resources or time for a summer summit, consider after-school training sessions or online video training. Technology can ease some of the hassle of student testing. When Okeechobee County School District used laptops and PCs for the Florida Standards Assessment testing, the IT team had to prep the devices and make sure no applications ran in the background. Chromebooks streamlined the testing process, as the IT team only had to switch the devices to kiosk mode. Some teachers spend a good chunk of class time teaching students how to use technology most effectively in their studies, rather than teaching them class material. Create a resource hub so teachers have an easy place to find resources, including video tutorials and how-to documents, that they can use to teach students how to use devices and digital learning tools. “Teachers can send students a 3-minute video about how to turn in a Google Doc using Google Classroom, so they don’t have to use valuable class time showing students how to use the tools,” suggests Michelle Branham, coordinator of instructional technology at Okeechobee County School District. Editor's note: New York is seeing great success with Google for Education. We talked to educators and administrators to reflect on how technology has changed what it means to teach and learn in New York. From group projects to collaborative lesson plans to online assessments, technology has improved the learning experience for students across the state. To learn more about Google’s solutions for Education, join the webinar with Amherst Central School District today at 2pm ET / 11am PT. At Massapequa Public Schools (case study), teachers are providing students with a variety of learning resources, from articles and text-based guides to videos and audio content. For example, when students were studying Pythagorean theorem in math class, the teacher filmed a video showing students the math concept, a2 + b2 = c2, so they could reference the information from home. When students have access to digital learning materials at home, they’re able to learn anytime, anywhere. 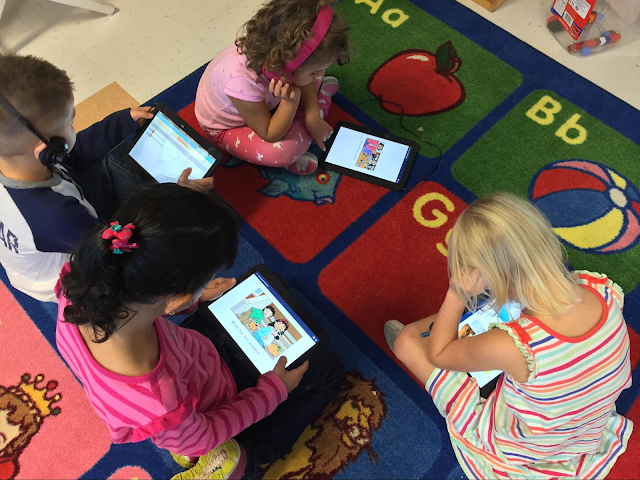 Amherst Central Schools (case study) wants parents to be a bigger part of their children’s learning and is using technology to get them more involved. With Google Apps for Education and Google Classroom, parents can see whether their child has started a project or needs a nudge. Students access their work wherever they are and can share progress with their families. For example, Jake, a third grader, shared his presentation about Canadian culture and history with his parents as he worked on the assignment so they could see what he was learning. Teachers also create instructional videos to help parents take on the role of the teacher at home. While Michael Milliman, grade 5 math teacher at Smallwood Drive Elementary School, taught students a complex problem, parents could reference the 30-second video that Milliman created. “Learning is meant to be a social and collaborative process,” says Anthony Panella, assistant superintendent of curriculum and instruction at Amherst Central Schools. The district is helping extend the social aspect of learning to include parents. Rochester City School District’s (case study) main goal is to teach students skills that they can use during their education, in their careers and beyond. Many students don’t have access to technology at home, so Rochester City School District is teaching them how to use technology. And since students need to know how to work with others regardless of the line of work they pursue, teachers are also helping students learn teamwork by assigning group projects aided by collaboration tools. For example, fifth grade students collaborated in person with their peers on a biome project and provided feedback to their teammates using the chat and commenting features in Google Docs. Schools continue to provide students with innovative online learning resources that help students learn more and teachers personalize education. Check out the schools’ stories and register for the webinar with Amherst Schools happening today to learn more. We built Classroom to save teachers time, and we know that grading is one of those tasks that can involve a lot of little time wasters. In fact, students have turned in more than 200 million assignments via Classroom to date, which adds up to a lot of grading hours. Today, we’re launching new features to help make grading a little faster and easier. Easier to update grade point scale: We know not all assignments are out of 100 points. You've always been able to change the point value, but a lot of teachers had trouble finding this feature. So we’ve made it easier to change the grading scale to any number you need it to be. Keyboard navigation for entering grades: When you’re entering lots of grades, you need a fast way to navigate from student to student. We’ve added the ability to use the up and down arrows to move directly from the grade entry area for one student to another. Sort by name on grading page: In addition to sorting students by completion status (done, not done), you can now sort by first or last name. And in case you missed it last month, you can now add a private comment for a student when you’re returning their work. In addition to these grading improvements, we’ve been hard at work on other updates. We’ve polished the look and feel of Classroom on the web with icons to help differentiate items in the stream and added a cleaner look for comments and replies. We’ve also recently updated our Android and iOS mobile apps, so they’ll now load even faster. You can post questions for students on the go, and Android teachers can reuse previous posts. Finally, you can now post a question from the Classroom Share Button, which you can find on some of your favorite educational websites. We hope you’ll find these updates helpful, and you’ll get a chance to relax and refresh over the winter break (or summer, for our friends in the Southern Hemisphere). Look for more Classroom updates next semester. 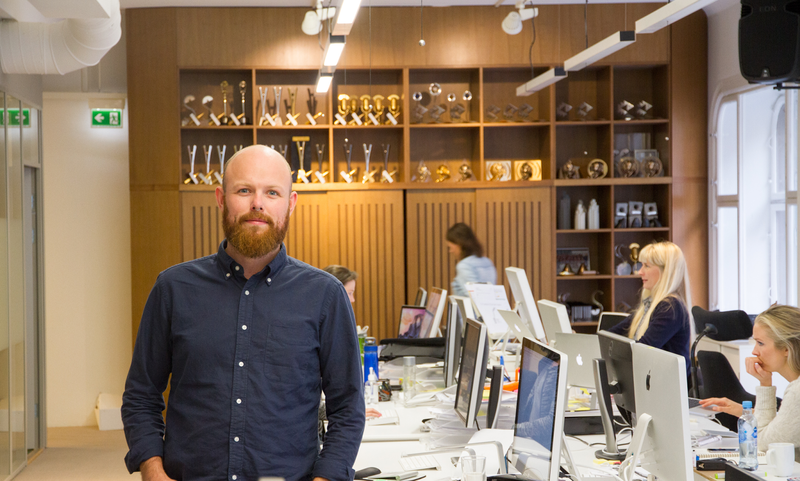 Editor's note: Today we hear from Christoffer Lorang Dahl, Digital Director at SMFB, an advertising agency based in Oslo, Norway. In the 14 years since it was founded, SMFB has delivered award-winning campaigns for local and international clients including Geox, Ikea and Statoil. Read how SMFB created a whole new work environment around Google Apps for Work and made its clients, collaborators and 65 staff happier in the process. It’s hard to be a 21st century creative agency when we’re bogged down with a 20th century-like IT platform. As SMFB’s Digital Director, I work with creatives and account managers to make digital ideas happen. With at least five projects on the go on any given day, my hands are full, but I always make time to help out with IT, too. One year ago, this informal role took up at least three hours of my work week, while the rest of the team collectively lost 10 working hours a day to spam and a calendar system so clunky it was almost unusable. It was time for a change, so we trialled two possible solutions and chose Google. Not only did we see huge potential in Drive, we guessed that staff would be familiar with Gmail and adapt quickly. We were right. Google Apps solved the core problems we wanted to address. Gmail fixed our issues with spam, and Google Calendar is exactly the synchronised, reliable and easy-to-use calendar we were looking for. Because of its straightforward interface, everyone can use it to book meeting rooms and tell designers which teams to work with on which days. We used to run everything through a server in Sweden, and when it crashed, none of us could work. We’ve never experienced any downtime since switching to Google. As well as fix the problems we knew we had, Google Apps for Work has rejuvenated our creative process. It’s hard to put someone in an office and tell them to “be creative.” That’s not how creativity works, but it’s exactly what we used to do. A typical day at SMFB used to begin with a briefing from the account director to the creatives. After that, the creatives would head to their offices to come up with ideas, which they would share by late afternoon so that they could get feedback by the next day. Now creatives start every morning with a Hangout, spend the day in a cafe, under the sun or wherever they like, and share their ideas on Docs. The account director and account manager — even the clients — can pitch in on the process, concepts and copy, which constantly evolve. And we never experience the confusion that results from multiple drafts and versions floating around. Film scripts do change, but if the wrong draft is sent to an animator or a director, the consequences can be dire. Once we have a project concept, we compile a budget together in Sheets and contact external production companies. We handle at least five of these at a time, and they change from one day to the next, but because Drive documents can be shared with anyone, we can send these external companies briefs, handle agreements and manage the whole process on one platform. Anyone can immediately see how a project is progressing by looking it up on Drive — something that’s vital for running campaigns on social media, where every second counts. I like to help my colleagues, and Google’s simple administration interface makes it easy. When a workmate accidentally deleted crucial files, I retrieved them from Drive, which lets you recover documents from up to 10 users for up to 25 days. And rather than just react, I suggest better ways of doing things — like creating a group email account for a new project, which I can have ready in two minutes. It’s a whole new way of working. So much so, in fact, that I recommended Google Apps for Work to our partner agency, Forsman & Bodenfors. Now they’re on it, too. Many schools have told us that Chromebooks have helped them transform learning. Those in Texas and North Carolina have shared stories of students using Chromebooks to better connect with their teachers and peers and expand their learning opportunities (you’ll see more stories in the coming weeks from districts in New York, Florida and Michigan). But beyond opening new avenues for learning, Chromebooks are also helping schools save money, allowing them to meet tight budgets and provide computers to more students. Plymouth-Canton Community Schools — one of the largest districts in Michigan — for example, told us that they’ve been able to save $200k in the 3rd grade alone, by purchasing Chromebooks over alternative devices. They've been able to leverage those savings to purchase charging carts, protective cases for the devices and additional power adaptors so that students can charge the Chromebooks at home and at school. The same has been true outside of the US. Earlier this year, Academies Enterprise Trust, a network of 76 schools across the United Kingdom, anticipated that they could save £7.7m in hardware and maintenance costs by using Google Apps for Education and Chromebooks. According to one school district in the study, Chromebook’s price point enabled the school system to reach a 1:1 user-device ratio, something it couldn’t have done before given the cost of their previous devices. They said, “We now have a 1:1 device solution with Chromebooks … Without Chromebooks, either we would have fewer devices or we would have had to spend four times as much to get to the same point.” For this district, being able to expand the number of students who have daily or consistent access to educational content on Chromebooks represents a substantial advantage and supports their core missions. 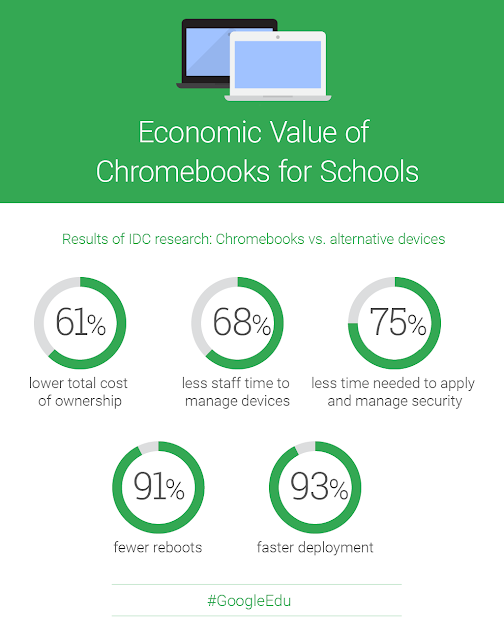 You can read the full whitepaper here, and calculate how much time and money Chromebooks can save for your school. When you store important files in Google Drive they’re not only safe, they’re accessible from any device. And finding them again from any device should be super easy so we’re rolling out a new search experience to get you better results — even faster. Narrow your search to a file type from the search box on Android, iOS, and the web. Open advanced search instantly from the search box. Access recent files or search Drive from the home screen using 3D Touch on iOS. Search Drive using the iOS search bar without opening the Drive app. Search for shared files by file owner using their name or email address. Use advanced search options like the date a file was modified, words it contains, or who it was shared with. This is all part of an ongoing effort to make Drive the easiest place to find your files. Look for these features as they roll out in the coming weeks. Every company has data that it must keep secure — whether that data is about confidential innovations, strategic plans or sensitive HR issues — keeping all of your data safe from inadvertent or purposeful leaks needs to be simple, quick and reliable. Google for Work already helps admins manage information security with tools such as encryption, sharing controls, mobile device management and two-factor authentication. However, sometimes user actions compromise the best of all of these controls; for example, a user might hit “Reply all” when meaning to send a private message with sensitive content. Starting today, if you’re a Google Apps Unlimited customer, Data Loss Prevention (DLP) for Gmail will add another layer of protection to prevent sensitive information from being revealed to those who shouldn’t have it. Organizations may have a policy that the Sales department shouldn’t share customer credit card information with vendors. And to keep information safe, admins can easily set up a DLP policy by selecting “Credit Card Numbers” from a library of predefined content detectors. Gmail DLP will automatically check all outgoing emails from the Sales department and take action based on what the admin has specified: either quarantine the email for review, tell users to modify the information or block the email from being sent and notify the sender. These checks don’t just apply to email text, but also to content inside common attachment types ― such as documents, presentations and spreadsheets. And admins can also create custom rules with keywords and regular expressions. Check out the DLP whitepaper for more information including the full list of predefined content creators, and learn how to get started. 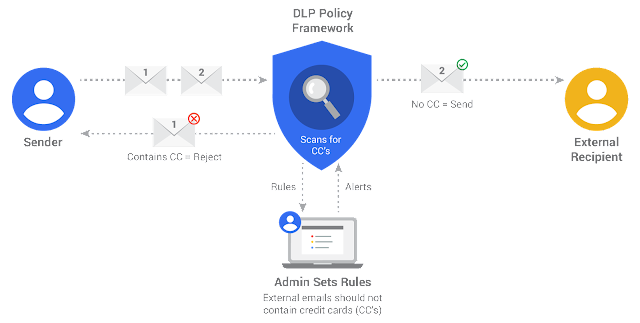 Gmail DLP is the first step in a long-term investment to bring rule-based security across Google Apps. We’re working on bringing DLP to Google Drive early next year, along with other rule based security systems. As we round out the year, let’s take a look at what we did in 2015 to enhance the security, privacy and control you have over your information. To verify the good work we do on privacy, we were one of the first cloud providers to invite an independent auditor to show that our privacy practices for Google Apps for Work and Google Apps for Education comply with the latest ISO/IEC 27018:2014 privacy standards. These confirm for example, that we don’t use customer data for advertising. We introduced Security Keys to make two-step verification more convenient and provide better protection against phishing. For admins, we released Google Apps identity services, which allows secure single sign on access with SAML and OIDC support and we delivered device (MDM) and app (MAM) Mobile Management across Google Apps. We launched Postmaster tools to help Gmail users better handle large volumes of mail and report spam. For Google Cloud developers, the Cloud Security Scanner allows you to easily scan your application for common vulnerabilities (such as cross-site scripting (XSS) and mixed content). For those who want the power and flexibility of public cloud computing and want to bring their own encryption keys, we announced Customer-Supplied Encryption Keys for Google Cloud Platform. To give more transparency on how email security, even beyond Gmail, is changing over the years we published the Safer Email report. We introduced new sharing features, alerts and audit events to Google Drive for Google Apps Unlimited customers. For example, administrators can now create custom alerts and disable the downloading, printing or copying of files with Information Rights Management (IRM). New sharing settings give employees better control within their organization unit and now admins can let them reset their own passwords. Google Groups audit settings allow better tracking of Groups memberships. For all, the launch of google.com/privacy gives better control over personal data and Android for Work makes it easier to keep personal and work data separate on employee devices. Companies are moving to the Cloud for all kinds of reasons, but Security and Trust remain critical and predominant differentiators between providers. That’s why millions of businesses trust Google to do the daily heavy lifting in security ─ preventing, testing, monitoring, upgrading and patching, while working towards the future. Because Google was born in the cloud, we’ve built security from the ground up across our entire technology stack, from the data centers to the servers to the services and features we provide across all of your devices. No other Cloud provider can claim this degree of security investment at every single layer. While 2015 was a great year, there’s a lot more in store for 2016. To learn more about how our technology is evolving, please join us at the Enigma conference in San Francisco on January 25th to discuss electronic crime, security and privacy ideas that matter. Our calendars should help us make the most of our time — scheduling meetings at work, remembering brunch with friends, and keeping track of all our other commitments. But often our to-do list is elsewhere, separate from the Calendar that organizes our day, and we end up overcommitted or miss something important because we forgot to check our list. Now there's a single way to manage your day: starting this week, you can create Reminders in Google Calendar to keep track of your to-dos alongside your scheduled events. 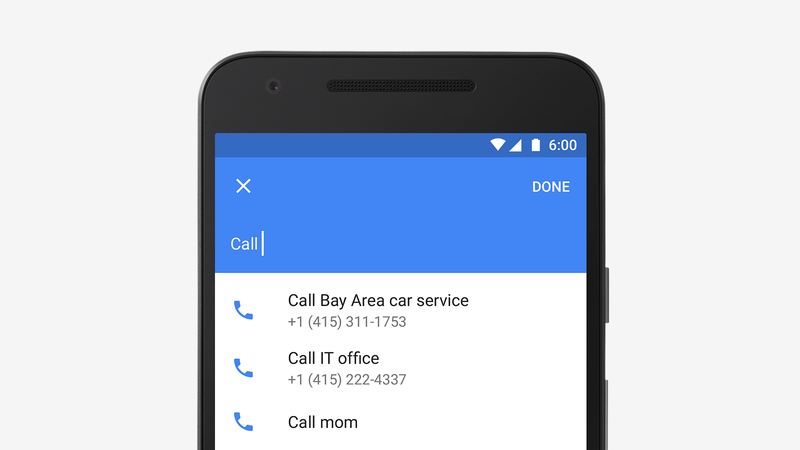 You might already create calendar entries to remind you to call the doctor or pick up groceries on the way home. But while those entries come and go, Reminders stick with you over time so you can track them until they are actually done. If a Reminder isn't completed, it will appear at the top of your Calendar the next day. And the next. When you do finally call the doctor or pick up those necessities, just swipe the Reminder away ... and you're onto the next to-do. Another way Reminders are more useful than events is that Calendar adds things like phone numbers and addresses automatically. So if you add a Reminder to make call or run an errand, the number or address will be right there when you need it. Just like Inbox by Gmail, Calendar uses information from your contacts, as well as Google's knowledge graph to provide this extra bit of help. 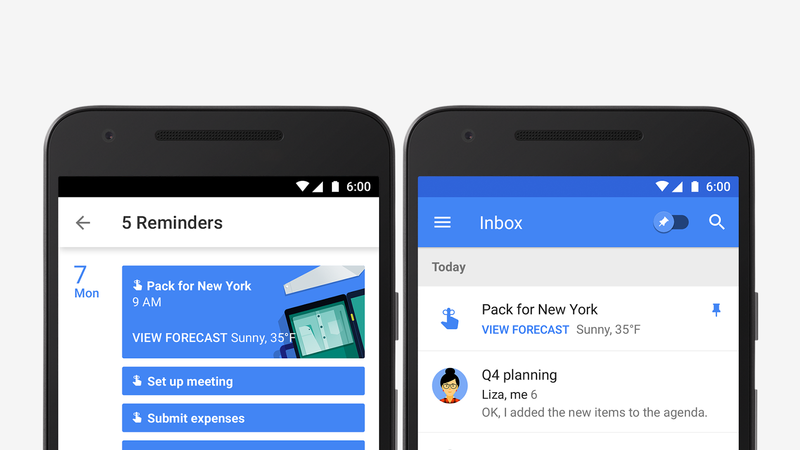 You can also create Reminders from Inbox, Keep, and Google Now. This means you can create a Reminder when you're checking your email and it will show up on your calendar right away. Plans change? Just move the Reminder to a better time. Or if your hands are full, you can record your Reminders in Google Now 一 like, "Ok Google, remind me to buy birthday candles" 一 then mark it as done later in Calendar. Reminders will be rolling out this week with the latest versions of Calendar on Google Play and the App Store. And don't worry, we're working on bringing Reminders to the web as well. Editor's note: Today we hear from Barry Kelly, Enterprise Architect at United Biscuits, a leading international manufacturer and marketer of biscuits and cakes, producing brands including McVitie’s, Jacob’s and Carr’s. Read how the company’s employees use Google Apps to work together globally and deliver significant incremental sales. Christmas is a peak trading period for us here at United Biscuits, as people up and down the country stock up on their favourite snacks and treats to get ready for the festive period. We make 30% of our yearly sales then, so it’s important to get every area of the business focussing on driving seasonal sales. But with thousands of employees based all over the country, we had to find a way to work as a single team and get around the geographical challenges. By using Google Apps for Work we’ve become a stronger team: we share over 700,000 documents on Drive, spend 1,600 hours a month meeting together on Hangouts, use Sheets to help coordinate marketing efforts and rely on Sites to continually develop our company intranet for better communication. Google Apps tools have also delivered huge sales increases that add to our bottom line. Richard Williams, Field Sales Controller has been leading our seasonal in-store promotion days — or Making A Difference Days (MAD), as we call them. These now bring in additional significant revenue each year, thanks largely to the motivation and inspiration teams get from being part of our Google+ community. These specific days see up to 200 employees from across the company working together to improve our customer offer and taking on roles they’d normally never do. MAD days are a chance for people at every level to contribute to the customer-facing parts of the business during our busiest time of year. On our MAD Day last Christmas, teams used Google+ to instantly share over 700 photos and videos with colleagues in other stores, and teams inspired and encouraged each other to go the extra mile. By allowing teams to share ideas across regions instead of work alone in a single store, Google+ revolutionised the day, and staff left feeling exhilarated rather than exhausted. Google technology has transformed our merchandising days — and, with this year’s Christmas activity not far away, we’re confident our sales figures will reflect this. And by year end, every single United Biscuits employee will be a member of our Google+ community, meaning knowledge and ideas will continue to be shared and developed across the business, no matter where we’re based. Editor's note: Today’s guest author is Bjorn Pave, Senior Director of Information Technology at POPSUGAR, an independent media and technology company that provides women with highly engaging content and commerce brands. Founded in 2006, POPSUGAR is in seven countries with more than 75 million unique monthly visitors. When I joined POPSUGAR in May 2013, we were rapidly transitioning from an ambitious startup to a major presence in entertainment and lifestyle media. The executive team had just decided to switch from Office 365 to Google Apps, and it was my job to make sure the transition went smoothly from a technical and user base perspective. Moving away from the familiar Microsoft-supported work environment could be difficult and I wanted to ease any resistance to change. Employees caught on quickly as to how the platform would increase collaboration and support our rapid growth. Our Los Angeles based production team clamored for tools to help manage their film shoots. Talent schedules were unpredictable, and teams in multiple locations needed real-time access to production details on their mobile devices. Some of them had used Google tools before and started campaigning the executive team for Google Apps. POPSUGAR founder and CEO Brian Sugar was keen to make the company-wide switch, and his wife, Lisa Sugar, Co-Founder and Editor in Chief, wanted a better tool to manage the complex production calendars for each website that POPSUGAR manages. Boosted productivity with an immediate impact in our editorial process. Prior to using Google Apps, it took our editors 24 hours to interview a celebrity, create a blog post and to publish the post online. Now, the process is cut down to 1- 2 hours, which gives us a huge competitive advantage over other online publications. We now reach our audiences faster. Team meetings are also more productive. Everyone works with the same Google Doc to take notes, track the agenda and assign action items in real time. With the right tools, we created a better environment for inclusive collaboration. Fosters collaboration between offices. Our offices are in San Francisco, New York, Los Angeles, Chicago and London, and we’re able to function as one team regardless of location. Chromebox for meetings was an easy solution that let employees and contractors communicate with each other around the world. We insisted on providing video capability because communication can be subtle, and those subtleties are lost if team members can’t see each other during a discussion. Now, when our West Coast-based Shopstyle team checks in with the European team first thing in the morning, it’s face-to-face and personal. Saves 70 percent per year. Switching to Google Apps saves us approximately $110,000 annually, because we no longer pay for upgrades or unused services bundled in enterprise license agreements. For example, Google Hangouts saves us a few thousand every month by eliminating the need for additional video conference software or traditional conference call lines. Google platform is reliable. An IT department’s worst nightmare is an email outage, or loss of work when a server is down. Google Apps is cloud based and updates automatically, no matter how many people are working in the same document. Because of the reliability of cloud-based servers, my team has the bandwidth to focus on innovation, creating new solutions to support our growth and stay on top of our business objectives. Our voice matters. While millions of companies have gone Google, Google continues to make sure each customer can share their unique perspective. We’re involved with the Google Apps’ development program, and we participate in beta testing of new features, which is great for our IT roadmap. We use the Google Apps Marketplace to find third-party applications that build off of and complement our Google Apps tools. Nine years after launching, POPSUGAR has grown to over 450 employees, in addition to managing a multitude of specialist contractors, in 5 locations around the globe. We’ve established a reputation for being leaders in the shifting media landscape, but we aren’t complacent. Our global audience is constantly expanding as more and more unique users rely on POPSUGAR as their primary source for entertainment, fashion, fitness, beauty and lifestyle news and product curation. The Google for Work platform is a key enabling technology for us, as collaboration, innovation and reliability are essential to support our vision for the future. Editor's note: Today’s guest blogger is Riccardo Zanni, Chief Technology Officer of Bricocenter, a chain of 77 home improvement stores in Italy with headquarters in Milan. Bricocenter uses Google Apps for Work to help employees share useful information with colleagues and stay in touch with customers in the store and on the road. Think about those flashes of inspiration you have when you’re in the middle of a DIY project — like finding the perfect bathroom sink, or a lounge chair for the terrace. We want Bricocenter to be the first place people think of to make that inspiration a reality. Our sales teams work hard to connect to people in their communities and help with their DIY projects, and we’re building and strengthening these customer relationships even more with Google Apps for Work. Before we started using Google Apps, our 1,400 employees were largely disconnected from customers and from each other. We previously used Microsoft Office 365, but the aging PCs in our stores ran the applications very slowly – and in some cases, didn’t allow employees to use email at all. Each store has as many as 10 people sharing three PCs. Slow software forced sales people to take more time to read and answer email, which meant less time spent on the sales floor helping customers. Also, we were limited in how many software licenses we purchased due to their high cost, so not every employee had an email address through our email service provider or access to productivity apps. Because our previous solution couldn't be easily used on a web-based browser, we were told that the only solution was to upgrade or replace all of our store PCs in order for the software to work the way we needed. Even worse, we’d suffer several days of email downtime during the changeover. Needless to say, this plan didn’t make sense for our budget or work environment. We think technology should follow the way we work – not vice versa. That’s why we chose Google Apps for Work, and partnered with Google Apps Reseller, Revevol, to help us through a seamless migration process to ensure our teams could work the way they wanted. Google Apps for Work didn’t require hardware upgrades and it functioned well with our existing PCs because it can be accessed from any modern browser. Every employee received a Gmail address without the need to purchase extra licenses or create time-consuming group profiles, as we had to do with our former solution. Our choice of Google Apps dovetailed perfectly with our pilot plan to outfit 500 sales people with smartphones, so they could stay connected to colleagues and customers outside of the stores. Now they can access email and company documents on their phones, and stay in touch with store managers, colleagues and customers. Faster, wider access to email is only part of our Google Apps story. People are using Google Drive to store documents and presentations that would have been impossible to collaboratively create and share with our previous provider. Now that all employees have Gmail addresses, everyone can use Google Apps to create presentations and share them with all of their coworkers. Anyone at Bricocenter, even people who don't know any HTML code, can spin up a site in just a few clicks with Google Sites. For example, our finance department created their own internal site to share helpful content – embedded easily in the site from Google Slides – about best practices for accounting. Google Apps helps us to get more work done faster. I recently needed to ask store managers about the performance of the GSM mobile networks in their stores. Instead of waiting several days for email responses, I used Google Forms to create a survey for store managers, and sent them the survey links using Google Forms. I collected all the feedback I needed in just one day. We often talk about the importance of getting closer to our customers as a core company value. Google Apps shrinks the distance between store employees and customers, between employees and managers, and between work and home life so more dream DIY projects can become a reality. Editor's note: We're going across the U.S. to shine light on the great things schools are doing with technology at the statewide level. Texas is up next. There we asked educators and administrators to reflect on how technology has changed what it means to teach and learn. From group projects to collaborative lesson plans, technology has improved the teaching and learning experience across the state. And we’re happy to announce that 100% of Texas’ online standardized tests can be administered on Chromebooks, giving educators an easy, secure way to manage the testing process. To learn more about Google solutions for Education, watch this recent webinar with Arlington Independent School District. Google Apps for Education isn’t just a way to share information – it’s the learning hub at Arlington Independent School District (case study) in North Texas. Students and teachers at Arlington ISD create more than 50,000 documents in Google Docs during any given week, and students can access this bounty of information when they aren’t in the classroom. For example, physical education students used heart monitors to measure their heart rates during different activities. As a homework assignment, they analyzed the data in Google Sheets and shared their findings with their peers. 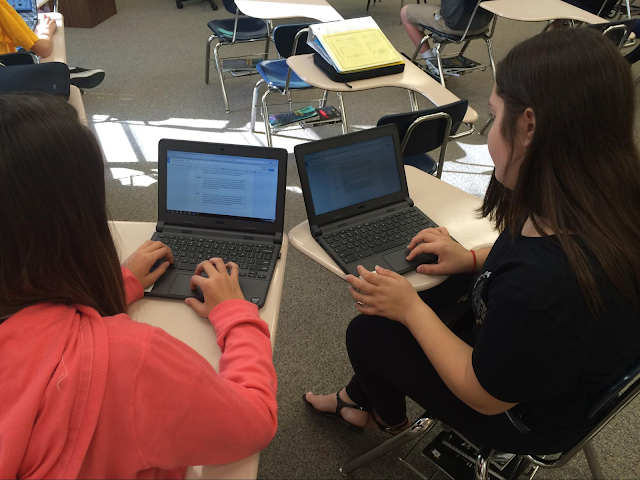 With the affordability of Chromebooks, more students have access to devices. When students leave the classroom, they can sign onto Chromebooks on loan through the 1:1 program and access Google Apps for Education to continue learning, regardless of their technology options at home. North East Independent School District uses technology to create a collaborative approach across schools, so students on its 70 campuses can share their work with peers and teachers. They’re creating a global learning environment by sharing assignments in Google Docs with students at international schools and with subject matter experts to get real-world feedback. For example, a sophomore history class shared its Middle Ages project with students in Denmark. “These devices have captured student’s excitement to learn, collaborate and think creatively,” says Tom Johnson, senior director of technology at North East ISD. McAllen Independent School District is introducing 12,500 Chromebooks this winter to give students 24/7 access to technology as part of its new initiative: Transforming Learning in the Classroom, Campus and Community. Students, teachers and parents provided their input on the devices they wanted, and the technology team evaluated the costs. “As we move toward a 1:1 model, we had to consider the cost of providing devices for students, the ability to manage 12,500 devices and the cost of fixing and replacing devices,” says Ann Vega, director of instructional technology at McAllen ISD. After the rollout, more students will have access to tools that will equip them with 21st century skills. Schools continue to expand what it means to go to school by incorporating digital learning into their curricula. Technology inspires students to think beyond their lesson plans, whether they’re in study hall, waiting for soccer practice or on a family vacation. Check out the schools’ stories and watch Arlington's webinar to learn more. Editor's note: Today’s guest blogger is Dan Hubert, CEO and co-founder of AppyParking. Read how AppyParking is using Google Maps APIs to help more than 100,000 drivers find real-time available parking spots in congested London areas and show general parking information across 10 nationwide cities. Parking in London is notoriously challenging. I’ve had to circle the block dozens of times before finding a spot. One night before a show at the Royal Albert Hall is particularly memorable – there was a yellow line on the curb that spanned hundreds of yards in front of the venue, but it wasn’t clear if I could park there. After parking, I found a sign two streets down, saying parking was permitted, but only during the specific window I was there. 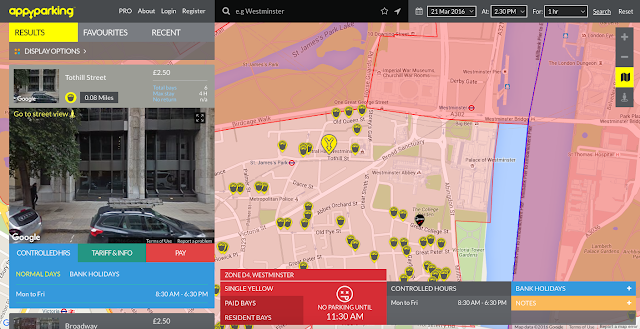 This was one of many experiences that inspired me to create AppyParking, a mobile app that uses Google Maps APIs to help drivers across the United Kingdom understand parking regulations and find open spaces. AppyParking serves as a comprehensive database for parking information, detailing what colored curbs mean and the specific rules depending on the time of day. The app color codes parking spots to show drivers where there’s free parking, where restrictions apply and where special types of spaces – such as electric-car charging and motorbike spots – are located. For example, red means restricted, and green means free. My co-founder, Enric Requena, and I chose Google Maps APIs for the mapping solution to provide rich, reliable data that’s accessible via a user-friendly interface. The app pulls data in varying formats from many sources, so Enric and I developed the Parking Platform, which converts different formats into a usable API. That data is integrated and layered on top of Google Maps using Google Places Autocomplete API for Android, iOS and the web. With other location-specific developer tools from Google, we’re able to provide our users with a more meaningful and contextual experience. Google Street View shows users where free parking spots are from a 360-degree view and street view. The Directions API is particularly useful in providing driving directions to open parking spots. We’re also helping commercial fleets find parking information, reduce time spent looking for spots and improve fleet productivity. Fleets pay more than four million pounds per year in parking fines, so knowing where parking is available is extremely valuable for their bottom line. AppyParking has helped more than 100,000 users find parking spaces faster and with less stress. We’ll continue to expand our app to provide more actionable information for drivers and have added confidence knowing that we can rely on Google Maps tools. Editor's note: Today’s post comes from Ian Cook, head of IT at charity: water, a non-profit organization that provides clean and safe drinking water to people in developing nations. Learn about how the organization is using Chromebox for meetings to keep the team connected, from its New York City HQ to onsite in Cambodia. At charity: water, our mission is to bring clean and safe drinking water to every person on the planet. We have a “100 percent model,” which means every dollar donated goes directly to the field to fund clean water projects. This is made possible by a small group of passionate and dedicated supporters who cover all of our operating costs: everything from staff salaries, to flights to the field, to the ink in our printer. At charity: water transparency is one of our core values, and with the help of Google we maintain transparency in two major ways. We use the Google Maps APIs to show every supporter exactly what we've done with their donation by giving them the GPS coordinates, photos and community information of the exact projects they made possible. We also rely heavily on tools like Chromebox for Meetings to communicate with our global team; our headquarters is in New York, but we have staff that work remotely in Europe, Asia, and Africa. We switched to Chromebox for Meetings after testing different products, and gathering feedback from our employees. They found Chromebox for Meetings to be the best solution: powerful, easy to use and seamlessly integrated with Google Apps. When we moved into a new, custom office space, we opted to include screens connected to Chromebox for Meetings in all nine of our conference rooms. We like when technology enables, rather than interrupts, our natural flow of working. At any time, more than half our conference rooms are booked for virtual meetings, allowing us to connect instantly with colleagues around the world. We even have a 48-inch TV mounted at standing height on a media cart, which we move into the common area for company wide meetings. Remote employees can join via Hangouts and participate as if they were standing beside their colleagues. In fact, our first UK-based employee is connected with our New York City headquarters on Google Hangouts almost every day. With simpler video conferencing, we’ve improved work-life balance by giving everyone, from interns to executive staff, more flexibility to work from anywhere at any time. Chromebox for Meetings is easy to scale and mobile-friendly, which is important since travel is core to what we do. Using Hangouts in conjunction with Chrome device management also allows us to help out employees with IT issues in real time, which is essential for a global team that often works remotely. I can share screens and fix problems whether at the office, at home or on the road. Our team’s made up of excited, passionate people, running a non-profit much like a fast-paced technology startup. We need tools that help us work more collaboratively, even when a number of our team members are dispersed across the globe. We’ve even started an initiative to hire the best talent for the job, regardless of physical location. We wouldn’t be able to do this without powerful video conferencing technology and work tools that enable mobility. With Chromebox for Meetings and Google Apps, we can work better at achieving our mission while maintaining the transparency that’s at the core of our values. Editor's note: Today’s guest blogger is Flint Waters, CIO of the State of Wyoming. Since outfitting its conference rooms with Chromebox for meetings, the state spends far less on video conferencing and has transformed how teams communicate and connect with each other and the citizens they serve. See how Wyoming and many other institutions and organizations are using Chromebox for meetings to create a culture of collaboration that translates to greater productivity and better service. When I came to work for the State of Wyoming four years ago, five people reported to a contract CIO and operations happened at government speed. The department drew in 300 people from other agencies, and IT teams were assigned to different opportunities. I wanted consolidated IT rather than siloed and needed a culture of urgency and innovation for the state, so we began looking at tools to help us do that. Building on the efforts of the previous administration, the Governor moved all state employees to Google Apps for Work. Today, Chromebox for meetings improves transparency and brings public servants, citizens and elected officials closer together. Before moving to Chromebox for meetings, we spent $1.5 million a year on a legacy video conferencing system. I felt we weren’t getting enough capability with the technology for the amount of money we were spending. So we phased out all the Tandberg systems and got 178 Chromebox for meetings licenses using a small fraction of our budget. The cost savings is tremendous, but we’re even more thrilled with the way Chromebox for meetings transforms how we do our jobs and think about public service. Specifically, this technology cuts down on bureaucratic processes and hierarchical protocol. Everyone from the Governor and executives to agency directors use Chromebox for team, cabinet-level and all-hands meetings. Participants can comment and ask questions regardless of their location. We’re also introducing Chromebox for meetings throughout the school system to improve communication between teachers, administrators and students. With Chromebox for meetings, we’re opening up meetings and making them less formal. We have Chromeboxes in our halls, allowing people to gather around and have impromptu meetings that anybody can join — the closest thing to a watercooler conversation you can get over the Internet. It’s also easier to work together on documents that are viewable on monitors at the stations, making meetings even more interactive and productive. This technology has also reduced people’s travel time and increased productivity. Wyoming is a large state with a small population and a lot of open road between cities — you can drive for miles on the highway without seeing another car. Chromebox for meetings shortens the distance between offices by allowing people to have a face-to-face interaction without getting in their cars. I get most excited about the fact that we can be collaborative with Chromebox for meetings. In the future, I’d like to set up an online help desk via live Hangout that’s accessible through the state’s website, so that when web visitors need help, we’d be there to help them right away. We’re connecting people at all levels of government to each other and to the public. With Google tools we can move as fast as our ideas can take us, which is just what we need to bring startup innovation and agility into the halls of government. Since the launch of our first product for businesses, the Google Search Appliance, in 2002, we’ve been building more and more products that help make businesses more productive. From Gmail to Docs to Chromebooks and Google Cloud Platform, we are now helping millions of businesses transform and support their businesses with our Cloud products. In fact, more than 60% of the Fortune 500 are actively using a paid Google for Work product. And all of Google’s own businesses run on our cloud infrastructure. Including our own services, Google has significantly larger data center capacity than any other public cloud provider – part of what makes it possible for customers to receive the best price and performance for compute and storage services. All of this demonstrates great momentum, but it’s really just the beginning. In fact, only a tiny fraction of the world’s data is currently in the cloud – most businesses and applications aren’t cloud-based yet. This is an important and fast-growing area for Google and we’re investing for the future. That’s why we’re so excited that Diane Greene will lead a new team combining all our cloud businesses, including Google for Work, Cloud Platform, and Google Apps. This new business will bring together product, engineering, marketing and sales and allow us to operate in a much more integrated, coordinated fashion. As a long-time industry veteran and co-founder and CEO of VMWare, Diane needs no introduction. Cloud computing is revolutionizing the way people live and work, and there is no better person to lead this important area. We’re also lucky that Diane has agreed to remain on Google’s Board of Directors (she has already served three years here) – as she has a huge amount of operational experience that will continue to help the company. I’m equally excited that Google has entered into an agreement to acquire a company founded by Diane: bebop is a new development platform that makes it easy to build and maintain enterprise applications. We think this will help many more businesses find great applications, and reap the benefits of cloud computing. bebop and its stellar team will help us provide integrated cloud products at every level: end-user platforms like Android and Chromebooks, infrastructure and services in Google Cloud Platform, developer frameworks for mobile and enterprise users, and end-user applications like Gmail and Docs. Both Diane and the bebop team will join Google upon close of the acquisition. With these announcements, we’re excited to take the next step in helping businesses take advantage of the cloud to work better, operate more securely, run more efficiently and grow faster. Joining a meeting should be as easy as walking into a room. That should be the case whether you’re meeting in person, or face-to-face over video. This week we’re rolling out an update to Google Hangouts that makes joining a video call as simple as clicking a link in an invitation. No filling in forms, no need for a Google account, just simple, easy access to meetings. Connect with teammates and get things done, while maintaining the control and security you need in a work environment. Say you’re a business about to talk through new product plans with your supplier, and you decide it’d be great to also get the thoughts of a key customer. No problem. In order to help give you control and security over your meetings, you’ll get a prompt to accept / deny their entry whether you’re using web, mobile or Chromebox for meetings. With Hangouts security features like locking video meetings to only people within an organization and muting and ejecting participants, there’s always the right level of security to match your organization’s needs. 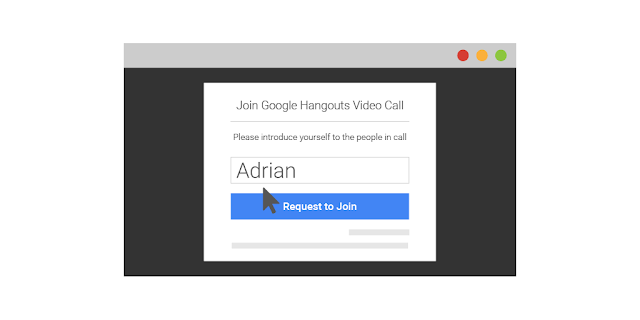 Learn more about Hangouts today. Today we’re rolling out a few updates to Google+ that make it easier to focus on the features our Apps customers tell us they find the most useful. There’s a new homestream to quickly browse through content, Communities that make it easy to safely share ideas and Collections that enable organizations to curate their work and keep it in one easy-to-find place. The fully redesigned homestream is built to be fast and simple. The new design makes it easier to use whether you’re at your desk browsing through posts or sharing an update on the go from a smaller mobile device screen. Domain-restricted Communities are a popular way for organizations to share content and ideas amongst teammates, with the peace of mind that they’ll stay private. We’ve already seen how a global fashion brand uses Communities to inspire conversation about products and branding among employees across the world and how a Japanese startup is keeping their staff up-to-date as they build a vaccine. Collections let you keep all your related content in one spot and make it easier to discover and browse. For example, earlier this year we dedicated a week on the Google for Work G+ page to our awesome System Admins, in order to keep all that content together, we put it into a Collection. It’s a handy way to collate posts, whether they’re showing off your new product or keeping your customers in the know about your Black Friday sales. For more information on the launch check out the Official Google Blog. Explore the new-look Google+ yourself on the web today and on iOS and Android later this week. Editor's note: To learn more about managing intelligent Chrome devices, join our Chrome product team for a Hangout on Air on Thursday, November 19th at 10AM PST. More and more businesses across the globe are using DIY-service models and integrated mobile, digital signage and kiosk technology to personalize their customer experience. While the customer experience is enhanced, the administration experience needs to stay simple. That’s why we developed the web-based Chrome Device Management Console, which allows business owners to remotely manage their fleet of devices across all their storefronts. "We tried many different solutions, using Google for signage was the easiest to push, control and manage throughout the enterprise,” said Alan Mariotti, Vice President of Technology and Security at Chico’s. In fact, IDC found that Chrome customers they spoke to averaged a three-year ROI of 319% for Chrome devices when used in kiosk mode, with an investment break-even time of approximately 4.8 months. Today we’re introducing a more streamlined console just for digital signs and kiosks called Single App Chrome Device Management (Single App CDM), priced at $24 per device per year. Single App CDM offers ongoing reporting that monitors the health of your kiosks and signage at all times. You’ll get alerts if a device goes down and can remotely reboot the device without dispatching a technician. You can also get live updates about system usage and capture screen grabs to see exactly what viewers see. Single App CDM can be used with a variety of Chrome devices – like the ASUS Chromebit, which is available for purchase today – to share relevant content quickly and simply, with the flexibility and security to seamlessly integrate into a broad spectrum of signage configurations. For example, the menu boards at a coffee shop or cafe could be powered by Chrome devices like the Chromebox, Chromebase and Chromebit, running a Chrome Kiosk app that displays relevant, dynamic content. Combined with our rich partner ecosystem of Chrome Kiosk apps from StratosMedia, Telemetry, Arreya, SignageLive, Wondersign, Nutrislice, Chrome Sign builder and many others, we have a solution to support any scenario. To learn more about how other organizations are using Chrome OS to deliver signage, check out this new IDC white paper. Editor's note: Today’s guest blogger is Danny Chi, director of engineering at Tripping.com. Read how Tripping.com and Google for Work Partner Navagis used Google Maps APIs to improve user experience and increase Tripping.com’s revenue and traffic – which has gone up by more than 2,000% over the past 12 months. 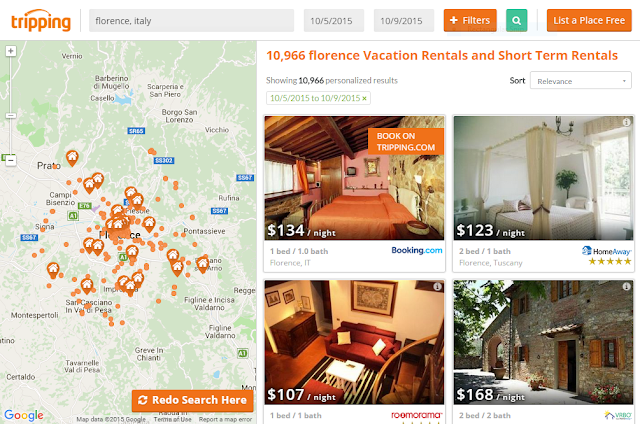 At Tripping.com, we aggregate vacation rentals from dozens of sites to help vacationers find the right listing from more than five million properties in 150,000 destinations. Our goal is to make it the world's largest website for researching vacation homes and short-term rentals. To do that, we need to create the best customer experience to drive traffic and to turn website visitors into guests. That’s why we chose the Google Maps APIs, which let us build an easy-to-use interface with fast loading times and the ability to scale. The APIs also allow the maps to zoom in and out, and accurately confirm rental addresses from the sites we search. Going with Google Maps APIs gave us access to vast and accurate location data. We also tapped into a world-class ecosystem of partners by choosing Google for Work Partner Navagis to help with licensing and technical advice on how best to start using Google Maps APIs. The Google Places API helps the site automatically scale the map to match searches. For example, if the user searches rentals in Paris, the Places API indicates the correct zoom level to display listings. If, instead, he searches for the Eiffel Tower, it will do a tighter zoom. The Places API also helps ensure accurate address data since in some cases the rental owners don’t provide complete address information. With the help of the Google Maps APIs, Tripping.com’s traffic has grown 2,918%, to more than two million unique monthly visitors. So thanks to the Google Maps APIs, we’re not only keeping our visitors happy—we’re also seeing great business benefits as well. ” or “what time is my taxi arriving?” At work, we rely on this data to make better decisions, like how to optimize utilization of assets or organize a team. Google Maps and Google Maps APIs have played a key role in helping us make these decisions, both at home and at work. Today, we’re bringing predictive travel time – one of the most powerful features from our consumer Google Maps experience – to the Google Maps APIs so businesses and developers can make their location-based applications even more relevant for their users. Predictive travel time uses historical time-of-day and day-of-week traffic data to estimate travel times at a future date. This makes it easier than ever to predict how long it will take to get somewhere and suggest the best route even when the departure time is far in the future. If your application is used for scheduling deliveries, and you want to ensure you’ve allowed enough time between deliveries so your drivers won’t be late, you might want to use the pessimistic travel time estimates. On the other hand, if you’re building a thermostat app, and you want the house to be warm by the time your user arrives home from work, you might want to use the optimistic travel time estimate to calculate when the user is likely to arrive. If you want to give your user an estimate of the most likely travel time to their destination, the default best_guess traffic model will give you the most likely travel time considering both current traffic conditions and historical averages. 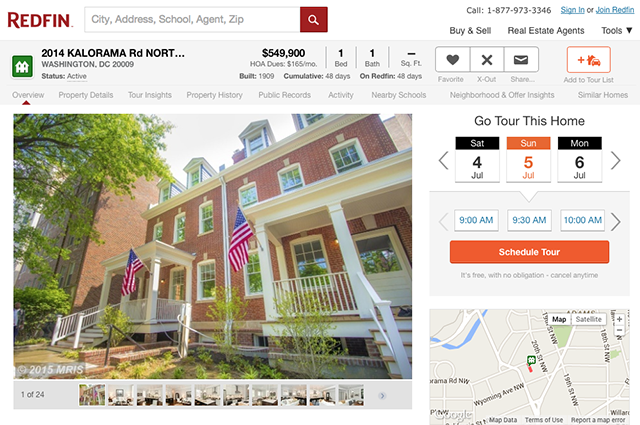 We worked with the real estate website Redfin to show developers what’s possible with predictive travel times. Redfin will use the Google Maps Distance Matrix API to help make better predictions for drive time between homes. To get started with the predictive travel time, visit our documentation on the Directions and Distance Matrix API and try it out by signing up online for the Standard Plan or reach out to your account manager. To become a Premium Plan Customer, please reach out here. Location-based and time-relevant data are changing the way we live, work and travel. As consumers, we can access incredibly detailed information about where we are and where we’re going with a few taps on our mobile devices. Location and time-relevant data play an important role in helping to answer everyday questions like “what’s the best route to take when running errands?” or “what time is my taxi arriving?” At work, we rely on this data to make better decisions, like how to optimize utilization of assets or organize a team. Google Maps and Google Maps APIs have played a key role in helping us make these decisions, both at home and at work.